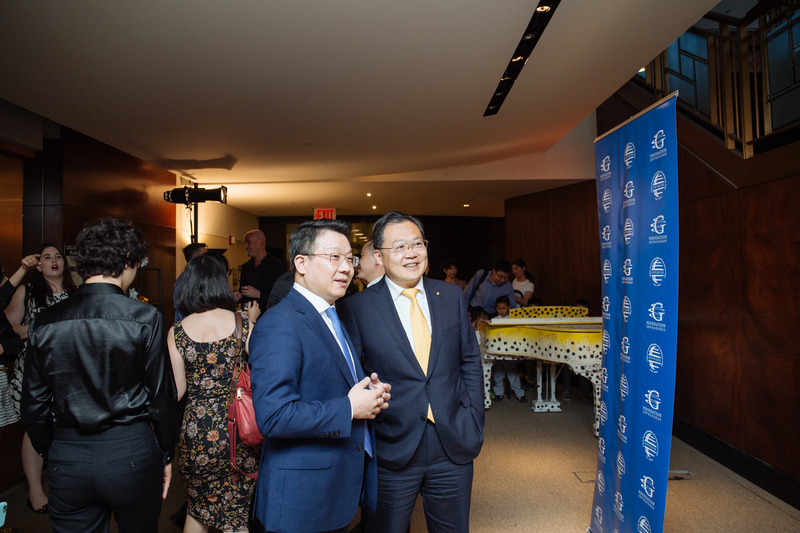 CGCC Hosts Welcome New Members Reception - China General Chamber of Commerce - U.S.A.
On June 1, CGCC, CGCC Foundation, Fosun Group and Sing for Hope co-hosted “Welcome CGCC New Members Reception” at 28 Liberty Plaza, a landmark of New York City. 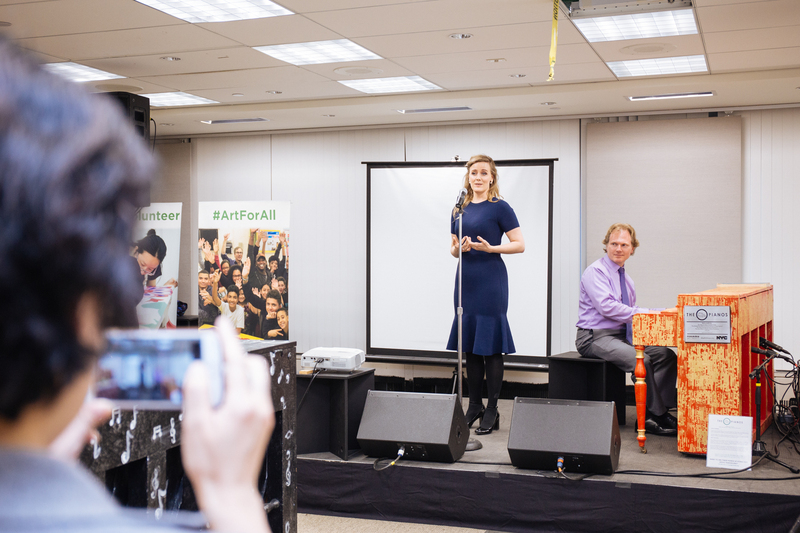 CGCC and CGCC Foundation warmly welcomed the new members and sponsored a piano exhibition to support art and education while enlivening the local community. Xu Chen, Chairman of CGCC and President and CEO of Bank of China USA and Camille Zamora, Co-Founder and Co-Executive Director of Sing for Hope, gave welcome remarks respectively. Jiao Gu, Managing Director of Gemdale USA Corporation, spoke as representative of CGCC members. 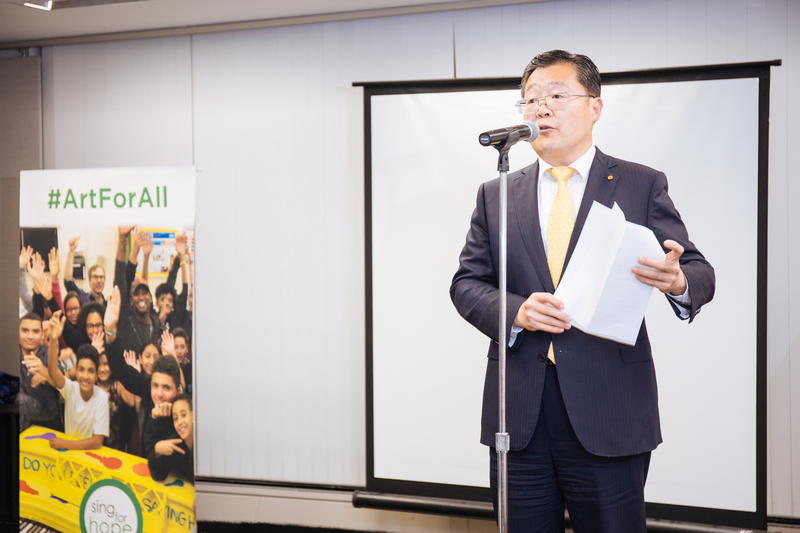 Bo Wei, US Representative of Fosun International, spoke on behalf of the sponsors. 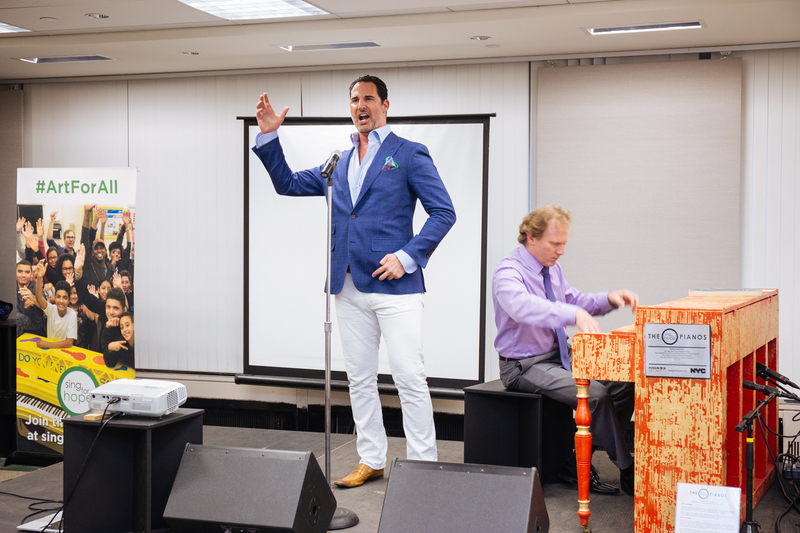 Over 180 guests attended this event with friends and family, and enjoyed the excellent performance by opera super stars James Valenti and Rebecca Ringle, and pianist Maxim Lando from the Lang Lang Foundation. 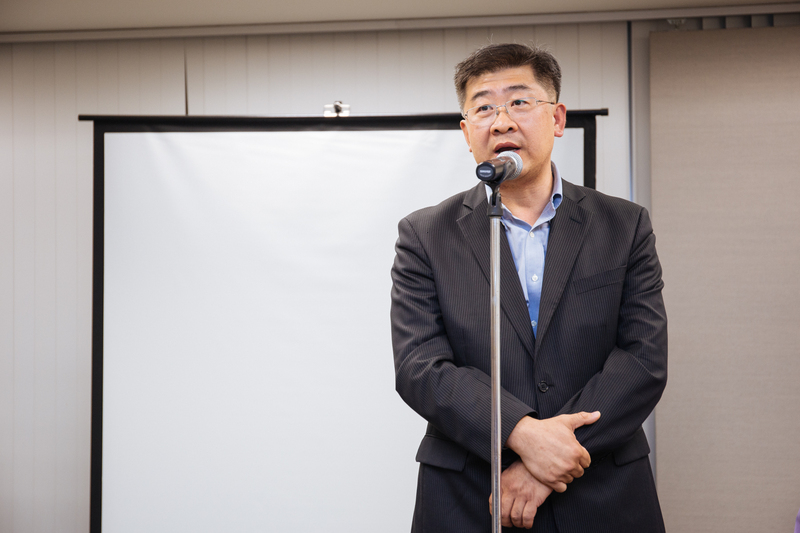 Mr. Jiao shared Gemdale’s experience of doing business in the US, “Although renowned in China, we felt somewhat disconnected when we developed business in the U.S. Last year we joined CGCC and realized we found home. The connections, information, events that CGCC has provided are so relevant and of high quality.” Ms. Zamora introduced Sing for Hope’s practice of mobilizing idle musical instruments, inviting artists to volunteer to perform arts for local communities. Ms. Zamora thanked Fosun Group for its support and sponsorship. 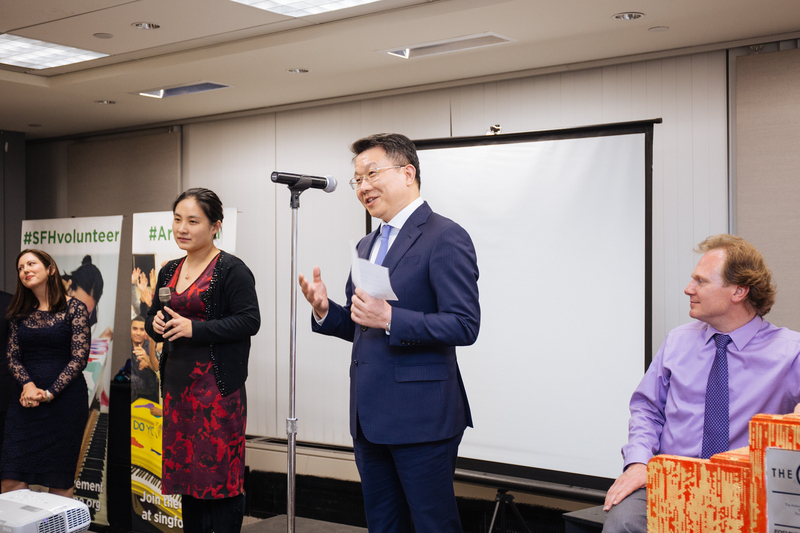 Mr. Bo Wei said, “I’m glad that Fosun Group and Sing for Hope proceed with the ongoing cooperation, that 60 pianos are beautifully renovated in Fosun’s building. Just in a few days, these pianos will be displayed across New York City, then will be donated to public schools and community centers for art education and recreation.” Later, guests enjoyed a vocal solo by Mr. Valenti and Ms. Ringle respectively, followed by a piano performance by Mr. Lando Fosun Group has been committed to fulfill corporate social responsibility and to give back to local communities. In 2016, Fosun Group sponsored Sing for Hope for the 5th anniversary celebration, Lincoln Center for the “Lincoln Center Global Exchange”, co-hosted the “Dine Around Downtown Festival”, the “River to River Festival”, and the movie night series with Lower Manhattan Culture Council. CGCC highly appreciates the support from Fosun Group and Sing for Hope for this event. CGCC and CGCC Foundation are committed to host various high-quality events for our members, give back to local communities, and help Chinese enterprises in the US fulfill social responsibilities. We highly appreciate any feedback. Please kindly reach us at contact@cgccusa.org. FOSUN Group’s New York office has been established since 2010 and located at the landmark 28 Liberty building in downtown Manhattan nearby Wall Street Financial district （formerly One Chase Manhattan Plaza acquired by FOSUN in 2013）. Nowadays, with around 60 employees, the office has FOSUN Property’s investment and management team, FOSUN Healthcare holdings team, China Momentum Fund, Insurance Group, Banking Group and other investment professionals as well as corporate functions including legal, HR, finance, administration, corporate communications and marketing teams. Although coming from diversified cultural background with different language skills, teams work collaboratively, promoting a real global culture in the office. Together with San Francisco-based venture capital team, and Houston-based energy investment team, FOSUN North America implements its “insurance + investment” core strategy, seeks for investment opportunities under the model of “Combining China’s Growth Momentum with the global resources” while managing current portfolio companies in the region. Meanwhile, FOSUN New York team based in 28 Liberty, dedicates to promoting cross-culture and business cooperation between China and the US. Guided by FOSUN’s corporate culture of self－improvement, teamwork, development and contribution to society, FOSUN works with United Nations’ Global Compact, Lincoln Center, Manhattan’s Downtown Alliance, and Lower Manhattan Cultural Council to host events, showing FOSUN as a global responsible corporate citizen with a strong commitment to the society. Since 2006, Sing for Hope’s arts outreach programs have brought hope and inspiration to thousands of individuals in under-resourced schools, public hospitals, hospices, veterans’ centers, after-school programs, neighborhood centers, nursing homes, and disability networks. 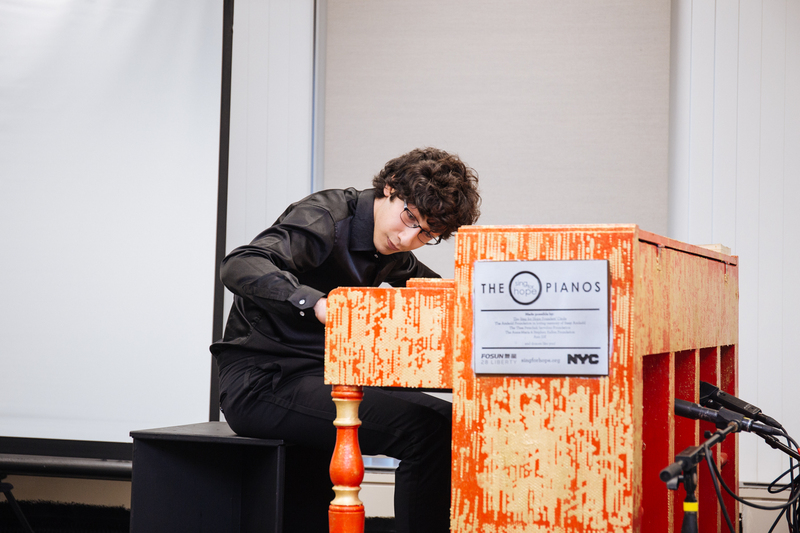 To date, Sing for Hope has partnered with over 250 nonprofit organizations, involved over 3,500 artists in community volunteerism, and placed over 400 artist-created Sing for Hope Pianos throughout NYC’s parks and public spaces for everyone to play – a symbol and celebration of art for all. Sing for Hope is grateful to Fosun and 28 Liberty for the generous gift of space for the Sing for Hope Pianos studio for the past 2 years. Learn more at www.singforhope.org.